Learners can be fickle, quickly slipping into distraction or boredom if we ask them to read too much. Though highly interactive, problem-based eLearning can help maintain engagement, completing these activities usually requires learners to read words that we write. In a culture of multi-tasking skimmers, we must write as clearly and concisely as possible to help keep learners motivated. Admittedly, when George Orwell wrote Politics and the English Language to advocate for writing in plain English, improved eLearning engagement was not his primary goal. Fed up with the intentionally vague and misleading language common among politicians – which he saw bleeding into mainstream communication – Orwell responded with an essay that called out examples of poor writing and offered advice for communicating clearly. Though he published the essay over half a century ago, the advice is still practical. Especially for those of us who write training materials. His essay builds a case for six simple writing rules. --1-- Never use a metaphor, simile, or other figure of speech which you are used to seeing in print. Orwell explains that clichés are often ineffective, because we tend to take their meaning for granted. They don’t prompt us to think. --2-- Never use a long word where a short one will do. The first example that comes to mind when I see this is utilize versus use. They mean the same thing. And what about pulchritudinous versus beautiful? Okay, maybe nobody uses that one. --3-- If it is possible to cut a word out, always cut it out. I know, that’s a REALLY simple example. But if you’re not already in the habit of avoiding the word will, I challenge you to watch for it in the next thing you compose – whether it’s instructional materials or something else. It’s shocking how often that pesky little word sneaks in. Of course, Orwell’s point is to avoid unnecessary wordiness in general – he probably didn’t intend to specifically target the word will. --4-- Never use the passive where you can use the active. Using passive voice isn’t grammatically incorrect, but it can be vague and wordy, which is why it’s not ideal. Especially for instruction. PASSIVE: After entering an applicant’s data, proposed loan terms are displayed to discuss with the borrower. 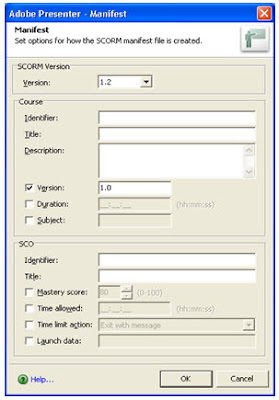 ACTIVE: After entering an applicant’s data, the system displays proposed loan terms to discuss with the borrower. --5-- Never use a foreign phrase, a scientific word, or a jargon word if you can think of an everyday English equivalent. This is so relevant for training! Subject matter experts often use department-specific jargon when providing information. Not only is jargon potentially unfamiliar to learners, but there’s really no need for them to expend effort learning a term if they’re not going to use it on the job. 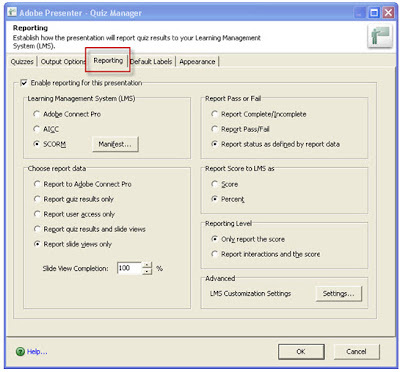 Plus, using avoidable terminology that is specific to a single department in a company limits the reusability of that training for other parts of the organization. --6-- Break any of these rules sooner than say anything outright barbarous. In other words, if breaking one of these rules actually allows you to express an idea more clearly, do it. This makes me think of sentence fragments. Technically, a sentence fragment is not a grammatically correct sentence. But sometimes we get away with fragments when we use them to emphasize a point and the idea is still understandable. Rightly or not, I frequently use fragments in posts on this blog. In fact, I’ve done it at least once in this post. Okay, I certainly can’t claim to follow all these rules all the time. But I try. And you can see how these basic guidelines can help simplify our writing to improve its readability. Do you have examples to share of following (or breaking) these rules? Or do you have other writing-related pet peeves...I mean, rules...to suggest? If so, please utilize the commenting function provided here by the blog. 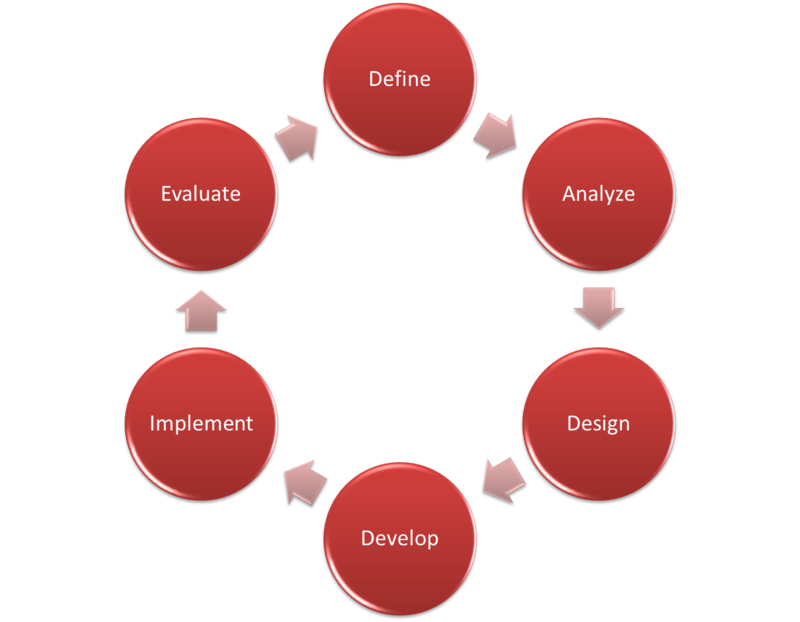 As a reminder, ADDIE stands for Analyze, Design, Develop, Implement, and Evaluate. Of course, we are using DADDIE now, having added Define to the beginning of each project. No ADDIE isn't dead. But it is evolving. ADDIE should be considered circular. We should stop looking at training as a single point in time and rather view learning as never-ending. Once Evaluation ends, that data should go right back into Define and further Analysis. By this means, our learning initiatives will continously improve and, as business needs are met, evolve into addressing the next most critical need. With the advance of technology, we have never had as much data readily available to us as we have now. We must use this ability to improve our efforts at every level. This enables ADDIE to be more Agile. And that's why the Agile method is so appealing. It seems everywhere we go these days, a major aspect of a project is speed. How fast can it be built and rolled out? In our frantic world, this is likely true no matter which industry you are in. 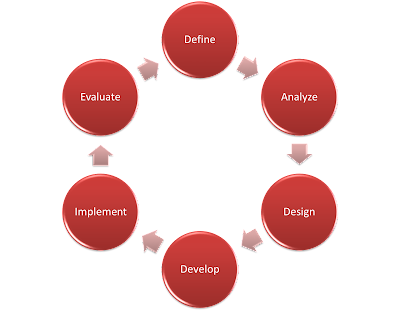 A circular ADDIE model meshes well with the rapid Agile development techniques so popular in software development today. The focus of an Agile effort is to keep satisfying needs on an iterative basis. At its essence, Agile development is simple evolutionary design; get enough out to be useful, then come back and improve it, if necessary. By merging this with ADDIE, you'll determine next steps needed in Evaluation and use that data to start off the next round of Analysis. As your program continues, you'll continously be improving your offerings and addressing the most immediate organizational and learner needs. You'll be implementing evolving rapid eLearning. The speed in which we can effectively perform this with ADDIE will always be a factor. But I believe that by acting on only the critical needs determined in Analysis, then we can move quickly using the technologies available to us today. Then we can go back and begin again or revise what we have. Needs that aren't critical might not require training at all; think of the Five Moments of Learning Need. Imagine a scenario where we keep addressing critical needs until there aren't any. Wow, that would be performance improvement in an organization. What do you think? Would Agile ADDIE work for you? On a recent trip to Jekyll Island, Georgia, I had the opportunity to reflect a bit on how far we have come with technology. On Jekyll Island, there is a monument set up by the Telephone Pioneers of America in remembrance of the first transcontinental phone call made from right there on the island on January 29, 1915, by then AT&T president Theodore Vail. The call included Mr. Vail, Alexander Graham Bell in New York, President Woodrow Wilson in Washington, D.C., and Thomas Watson in San Francisco. I reflected on how that one phone call changed our lives forever, and how much we take the telephone for granted today. I also thought about how far technology has come in just under 100 years of that first phone call. Wow. There have been many leaps forward in technology for learning in the past 10 years. What does all of this mean to learning? There are some really neat tools out there, and it can be downright overwhelming sometimes. But guess what? Good ole’ Instructional Design principles and Adult Learning theories have not changed. Adults still learn in the same ways they did before all of this came about. So, why do we as learning professionals tend to ignore these principles just to use the latest and greatest trends in technology? For more information on this, read Adapting 20th Century Training Models for the Future. Know your audience – Who is your audience? Think about what technologies might work for that audience before choosing a technology. For example, mLearning might work for a diverse sales organization that is spread throughout the country with the tools to receive that training (smartphone, tablet, etc.). However, it would probably not work for a group of call center representatives who do not have any mobile devices on which to receive the mLearning and tend to stay at one PC. Understand what “fits” to the technology – A 30-minute web-based course might work well on a PC over the web, but will it work on a smartphone? Will the media that you are using work on the smaller smartphone screen, or does it need a larger PC screen? Create Success Stories - After gaining initial buy-in from your management on the technology strategy, pilot it with a small group and create successes that you can share as you roll it out to the larger group. This will be key in getting everyone behind the new technology. Bottom line – make your technology strategy fit your audience and instructional goals – not the other way around. What are some of your success stories in implementing new technologies in your learning programs? How did most of your workplace learning occur over the past year? Much of my learning came from brainstorming with peers, participating in online forums, reading (articles, books, blogs, etc. ), observation, experimentation, trial and error...and, of course, reflection. Do you have a similar story of unstructured, experiential, informal learning? Jay Cross, known for his informal learning research, tells us that approximately 80% of workplace learning occurs informally. In contrast, only 20% of organizations’ learning budgets go toward enhancing informal learning. Does this suggest that organizations are missing an opportunity to take learning to the next level? And can eLearning become part of an investment in informal learning? I think Ray Jimenez (among several others, I’m sure), would say yes. He was on to something with his 3-minute eLearning methodology. The idea is to offer short, focused snippets of instruction. If it takes a few minutes to complete, then it feels easy to access in the flow of work...or between tasks or meetings. Compare that to making time to complete a 1-hour lesson. We could make short eLearning lessons available as a supplement to new employee training, or any other formal course. The formal course builds the foundational knowledge and skills required for the job, with short eLearning lessons available to help people advance their skills later. 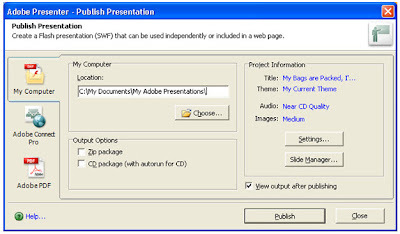 Short eLearning lessons could also complement electronic job aids or a knowledge management site. While a job aid might outline a procedure and provide guidance for decision-making, optional eLearning might offer conceptual background, examples, or short practice opportunities to help people confirm understanding. Do Gagne’s nine events fit in? Probably...though not necessarily in the eLearning lesson itself. A 5-minute eLearning lesson is unlikely to work through all nine events in a meaningful way. But, if eLearning is just one part of an informal learning experience, then learners will probably experience those events through other means. For instance, if I’m seeking information about something, the informal learning experience already: (1) has my attention, (2) is aimed at some objective, and (3) has probably prompted me to recall prior knowledge, which likely led me to the point where I’m encountering the short eLearning lesson and deciding whether to complete it. A combination of job aids, short eLearning lessons, and other available resources might present content and provide learning guidance. And chances are, I’ll apply my learning to my job...and hopefully receive some form of feedback. But that’s just one way the pieces might come together. If an eLearning lesson offers background or conceptual information to help a job aid make sense, the lesson’s role might be to stimulate recall and present content. If the lesson shares examples, scenarios, demonstrations, or stories that help convey tacit knowledge about a concept or task, then the lesson’s role would align more with guiding learning. Or, if a lesson provides quick practice opportunities to help learners ensure that they’re correctly understanding something new, then perhaps its role is to elicit performance and provide feedback. Once you start thinking about it, there are numerous ways eLearning can enhance informal workplace learning. Do you have examples you can share? Or challenges you’ve encountered? Whether you’re in school or a professional on the job, learning something new can be challenging. Instinctively, we tend to want to stick to what we know rather than making the stretch to do something new. At any age, learning stretches the brain just as much as exercising stretches the muscles. This stretch is sometimes painful, but we all know it’s worthwhile. When you set out to learn something new, what motivates you to even try? Why expend the effort, energy, and time? Often, learners have the same motivation to learn that designers have to design — it’s our job that we have to do. This attitude can sap the passion out of learning. How can we get that passion back? One major motivator to learn is by gaining confidence as you gain new knowledge. Gagne’s sixth event (of his Nine Events of Instruction) is eliciting performance/practice. You can elicit performance through imaginative, guided play/practice. When learners can play with new knowledge using guided practice within a lesson, they can safely confirm that they’ve “got it.” Learners tend to have more passion and interest in tasks they do well. Successful practice builds confidence and enthusiasm for new knowledge. Also, learners are more likely to remember what they learned because they have actually done it. How can you build imaginative practice into your eLearning lessons? Need a safe place to try out new knowledge and gain confidence using it. Need a place where it’s ok not to have the right answers and they can safely learn to find those right answers. Need an opportunity to develop strategy and ideas for handling situations with a new tool or process. Offer follow-up support via an online Q&A or “community.” Most company intranets have a way this type of site could be set up. Check with your company to see what is possible. You could start the site by posting stimulating, mind-stretching questions related directly to the new knowledge. Set up an expert panel about a month after the transition and arrange for them to be available for a mini webinar or Q&A session. Allow learners to call in with their questions or participate in the webinar. Provide a play “sandbox” where transitioning learners can practice new skills as they have time to practice. You might have other ideas as to how to encourage learning growth and continued confidence. And if you do, please share them in the comments!